The reason I present this ball head, is not because I consider it the best ball head but because I consider it a real value for money. 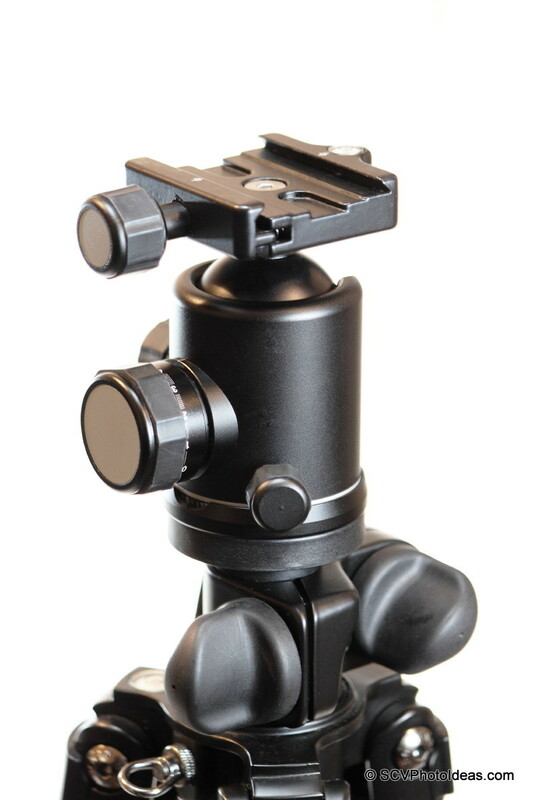 While searching for Panorama head/clamps I decided to buy this head and test it as the base of my project for Creating a Multi Row Panorama Head, keeping the budget low. 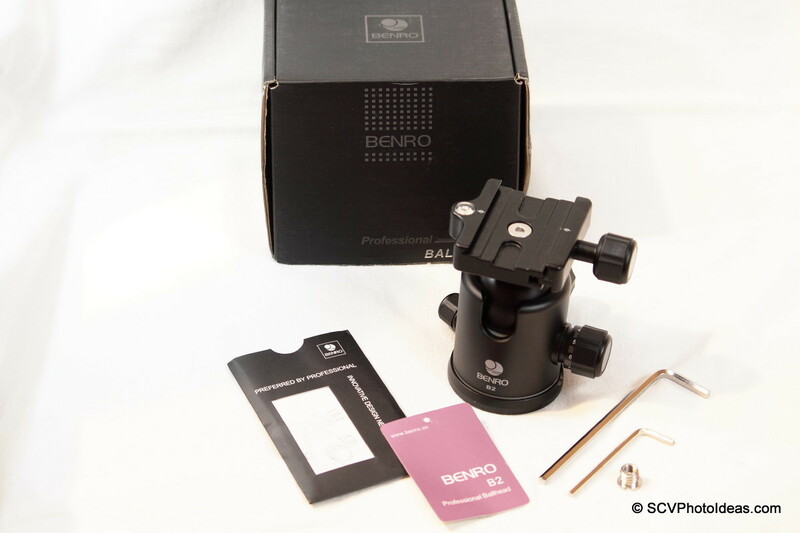 Benro B-2 comes boxed (actually secured to the box bottom with a plastic screw), together with a small instruction leaflet, two Allen hex keys and a thread converter 1/4"-20 to 3/8"-16. 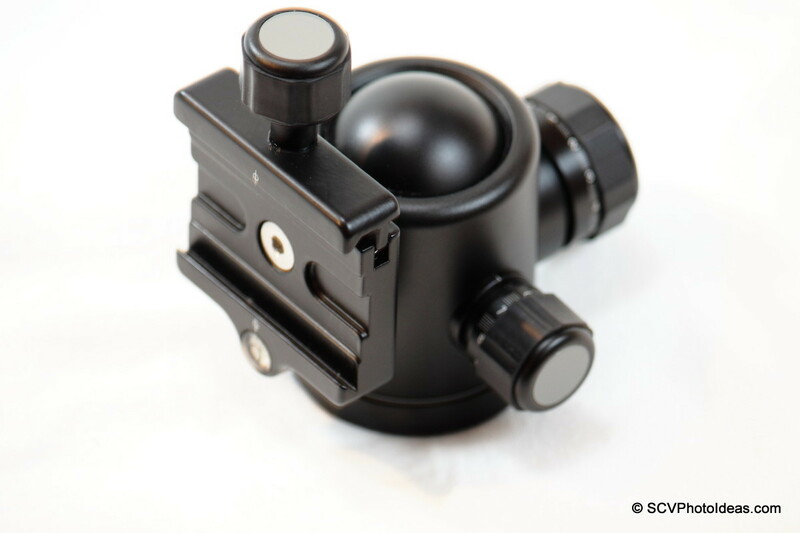 This latest model has a narrower panning base than the previous one (58mm instead of 64mm), is equiped with a 6cm (2.36") Arca-Swiss® compatible Quick Release clamp with spirit bubble level and a PU-70 7cm (2.75") Quick Release plate with M3 stop screws (not shown in the photo). 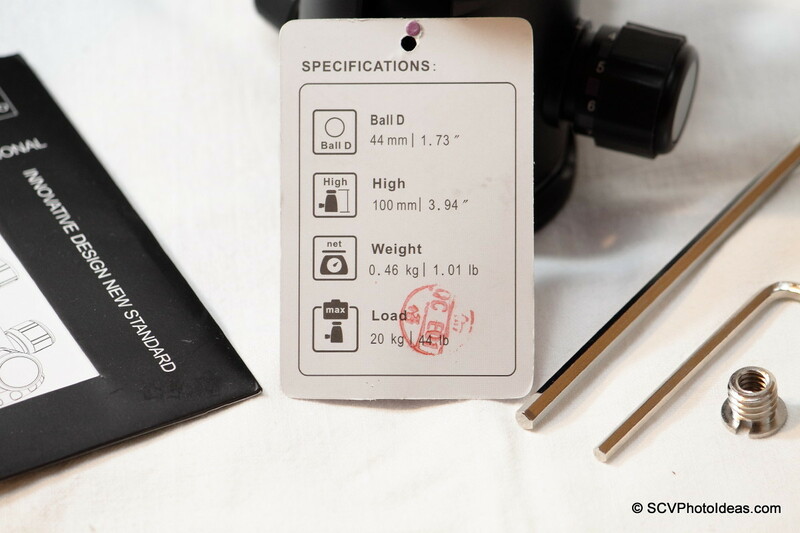 Product card with Ball head specifications and Quality Check stamp. The quite big 6cm (2.36") clamp with center marks needs one turn of the knob to open or lock, offering a long clamping surface enough to balance long lenses. 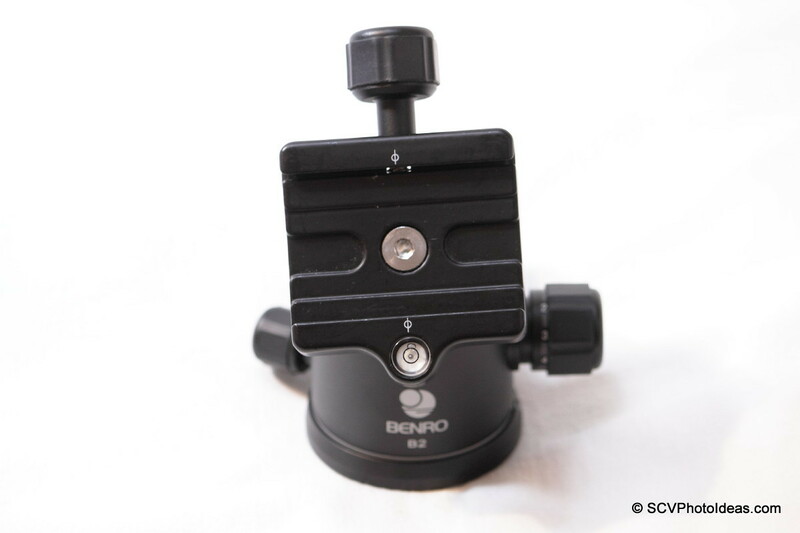 has a clear spirit (bubble) level, two deep relief grooves for the M3 safety stop screws found under many rails or base plates and attaches to the ball with a long M6 metric flash head screw from the top. 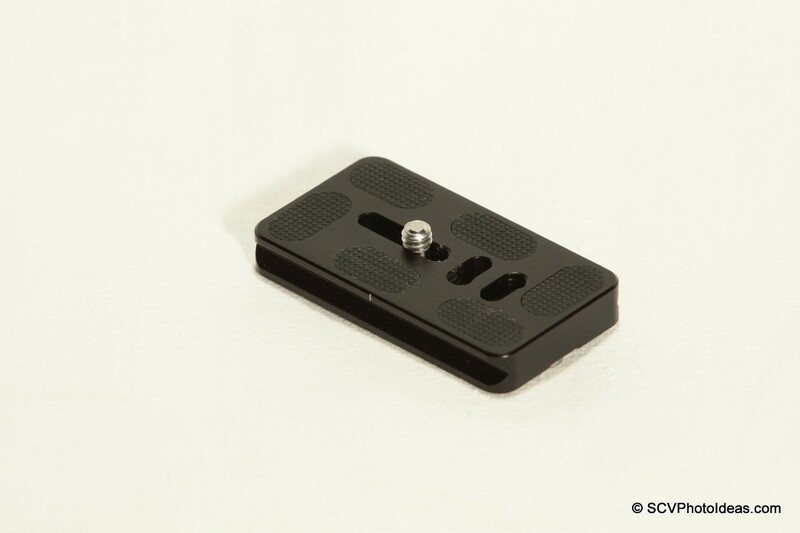 The included PU-70 Arca-Swiss® compatible Quick Release plate, weighs 47gr, measures 70x38 x10 mm (2.75x1.5x0.39"), has a double dovetail, three convenient captive slots for attachment on cameras or lenses, six thin rubber pads with rough surface to prevent it from twisting and comes with one 1/4"-20 captive screw. 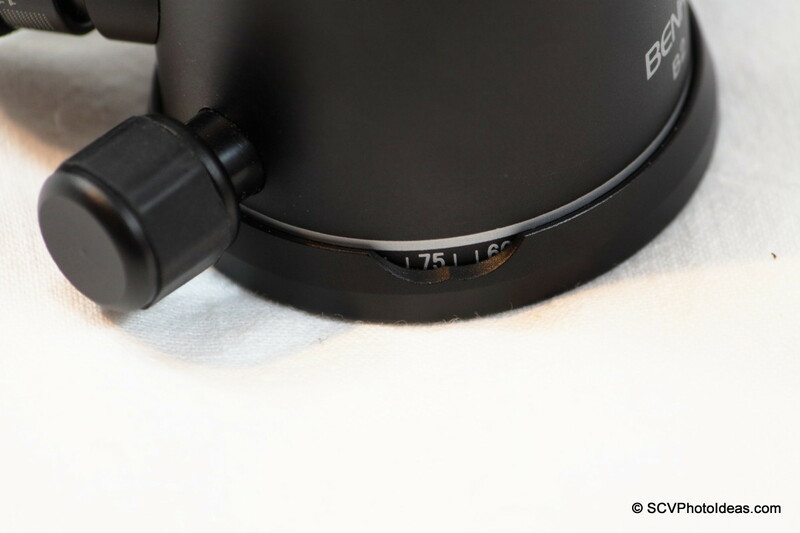 On the underside we can see the two M3 stop screws near the edges and that the 1/4"-20 captive screw, which may be tightened either with one of the enclosed Allen hex keys or with a flat screwdriver or even a small coin. 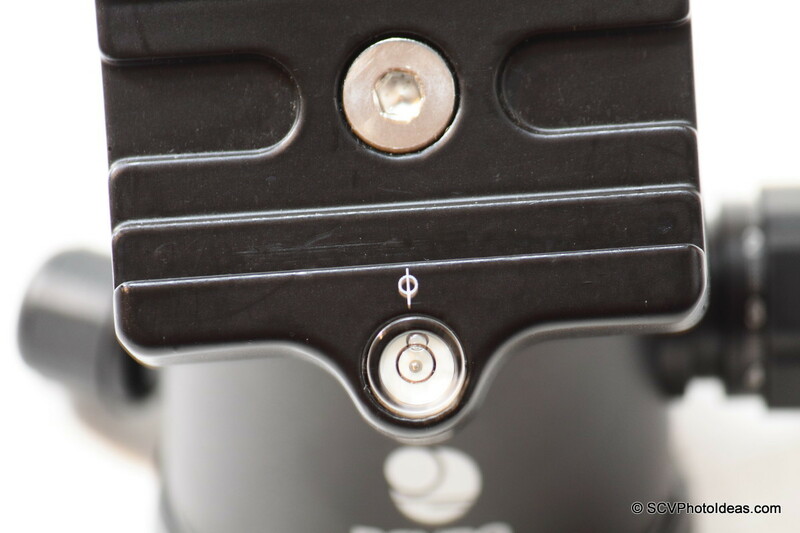 I prefer to tighten with the hex key since it can exercise the maximum torque and results in a solid contact with camera base (needless to say not to over tighten captive screws). 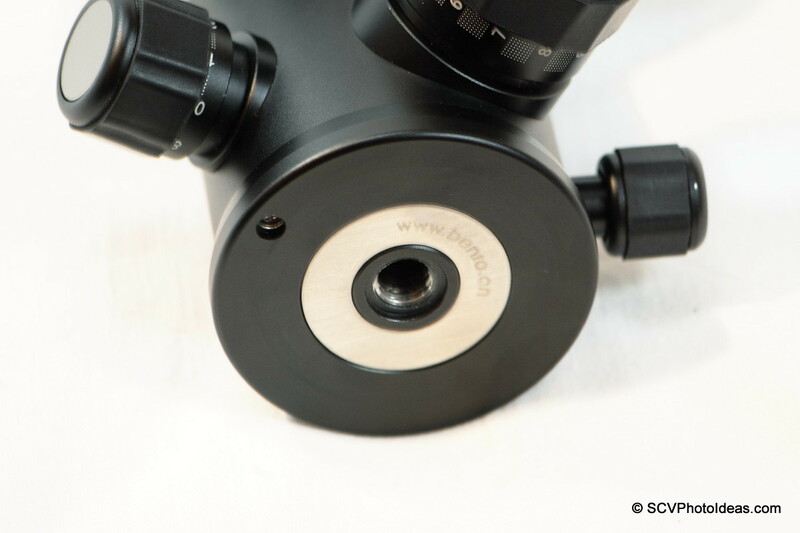 The plate attaches easily on the Quick Release clamp from the top, as the M3 stop screws prevent from sliding it in from the side(s). 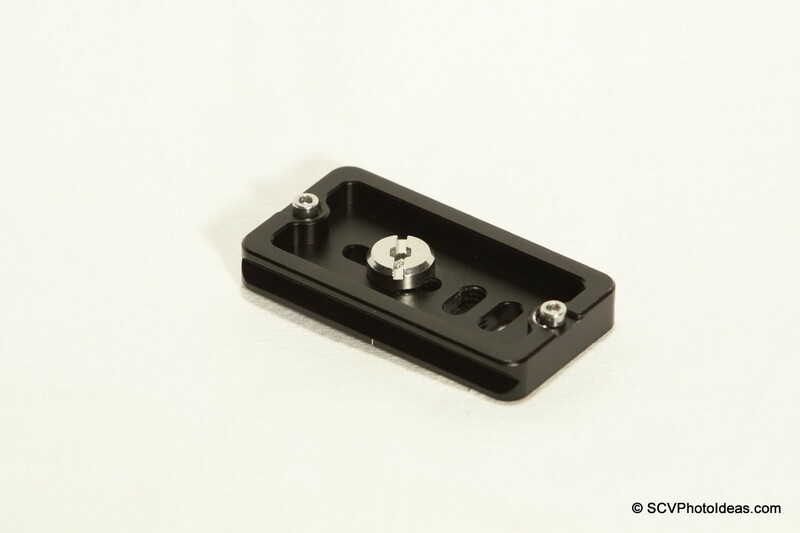 Due to the safety stop relief grooves on the clamp the plate can slide in 2cm (0.79") from each side, for micro adjustment of centering or leveling a camera/lens on the head. 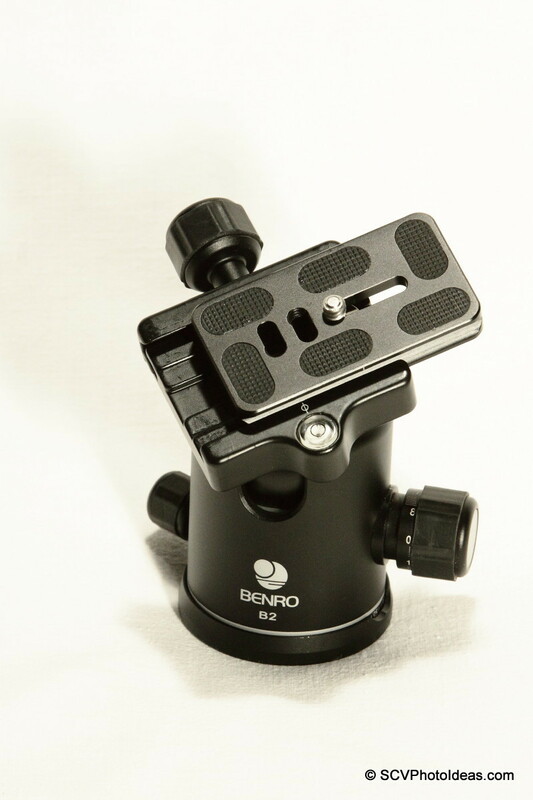 The existence of center marks on both the clamp and the plate, simplifies adjustment. 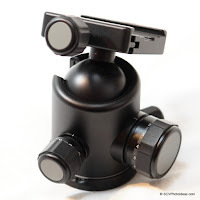 The 44mm ball is smooth and even with the knobs completely loose does not flop around freely preventing some accidental damage. Friction control and Lock knobs have index numbers as reference for different loads. 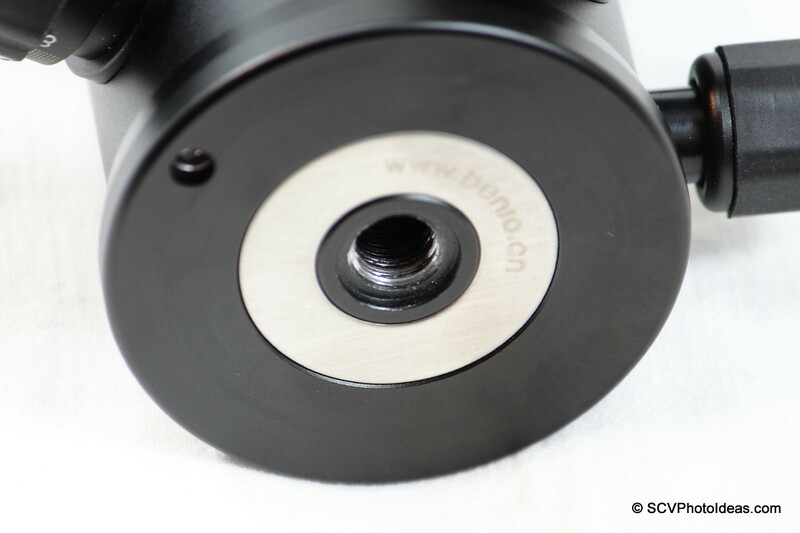 The Friction control knob is smaller and has a scale from 0 to 8, while the main Lock knob is noticably larger with a scale from 0 to 12. 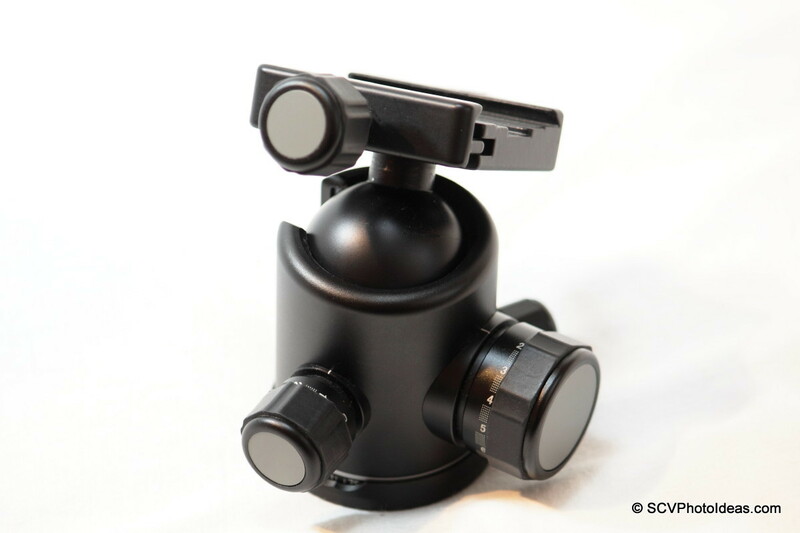 All knobs have a new design rubber ring on the edge of their perimeter for better grip. The panorama base and locking knob. Panning motion is fluid smooth with gradual lock. However, is not the best implementation I have encountered since the numbers are recessed and both digits and index mark are completely obscured in low light. Further, awkwardly enough, the scale is increasing from 0 to 90 degrees then decreases to 0 and same again. The marks are in 5 degree increments. As stated in the manual by the manufacturer there are no serviceable part by the user, thus the base does not open without special tools. 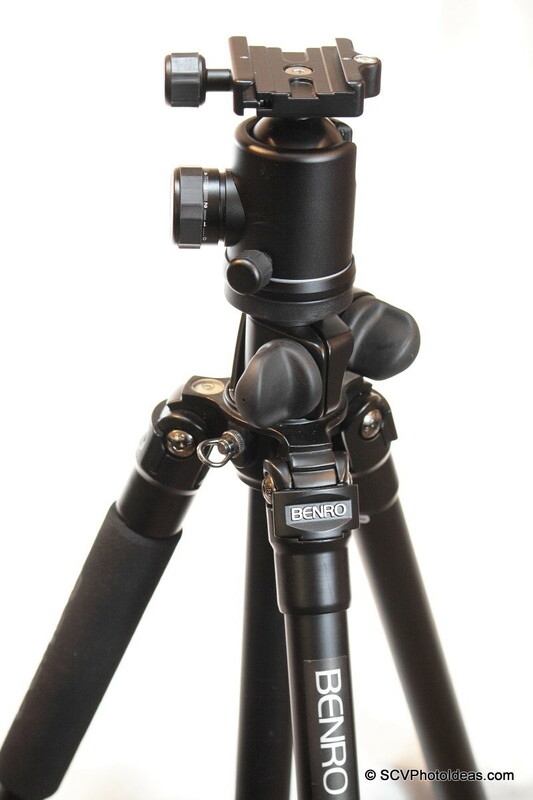 Mounted on a Benro A-298 EX Versatile Tripod with which it makes a perfect match in size and load bearing capacity. 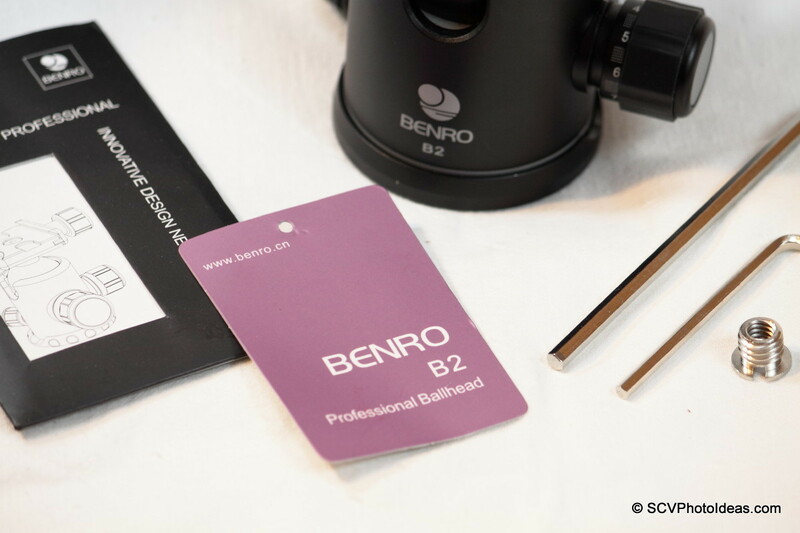 Quality has vastly improved compared to some earlier Benro ball head models like the KS-x or KB-x lines, while the price remains the same. Very good finishing, fitting and build quality. Very good to Excellent value for money ratio. 3 year limited warranty (from selected sellers). 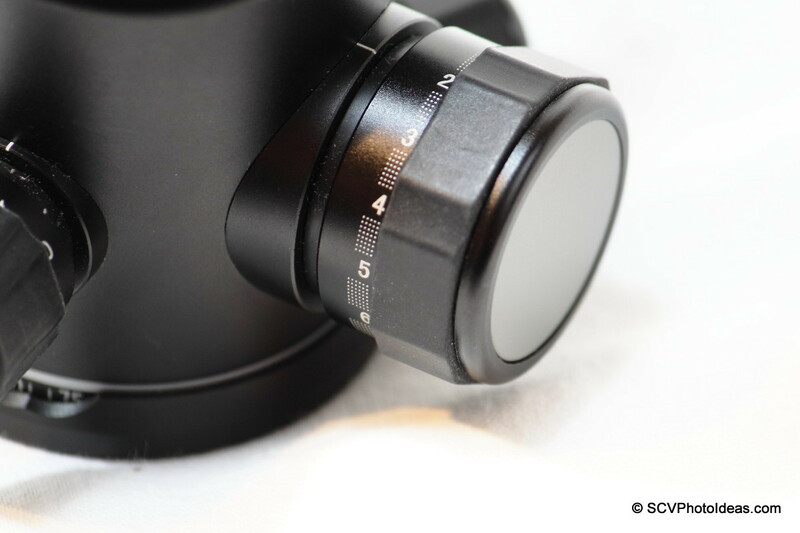 With heavier equipment and/or longer lenses, friction needs readjustment when tilting. The panning Index Mark and the recessed panning Base Marks are faintly visible in dim light. 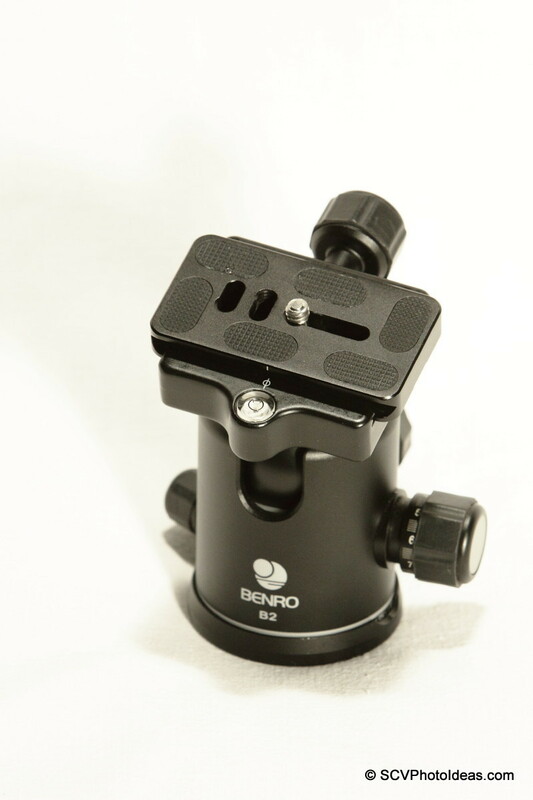 Benro B-2 Ball Head proved more than adequate to the specification, is smooth, has a separate friction knob, panning control knob and finally locks well. I have not tested it yet for long term durability or how it will behave in very cold weather, or other extreme conditions, but considering that it costs half than an equivalent Markins or 1/3 the price of an RRS it is good to excellent value for money. 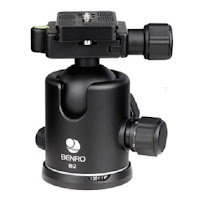 You can find more infornmation on the ball head's performance in my article Benro B-2 Torque Test. 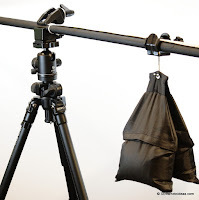 In further posts, I shall show how this ball head is utilized in a Single Row Panorama, a Multi Row Panorama as well as in a simple Alternative Gimbal head ! Very interesting as I'm considering the best weight/feature ball to my benro legs.